Hello Friends, my “In & Out” quilt is featured in the Spring 2013 of Quilter’s World‘s Special Interest Publication “QUILT & EASY QUILTS”! See that little insert on the top left corner of the cover — yeap, that’s my “In & Out”! The interweaving effect is achieved by using the cross block colored in two different ways. Pretty cool, eh? 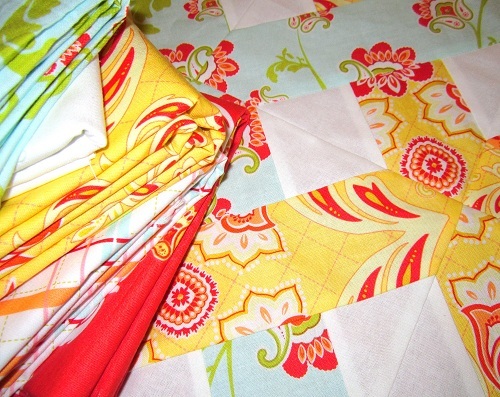 I used Riley Blake‘s Avignon fabric collection to make “In & Out”. 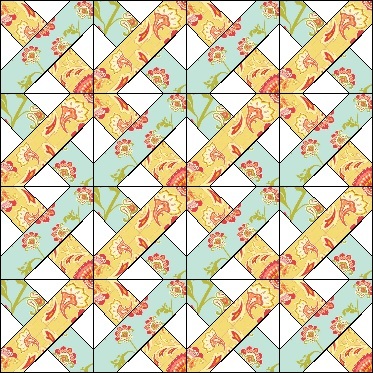 You may recall, I had used the fabrics from the same collection to make “Not too Square” that is featured in The Quilter’s December 2012/January 2013 issue. 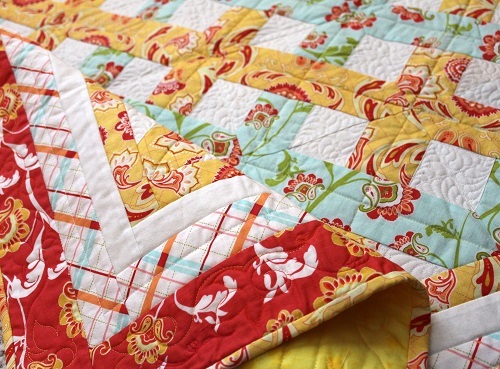 Quilting was done mainly on the negative space to highlight the printed fabrics. I find that feathers make great “fillers”. 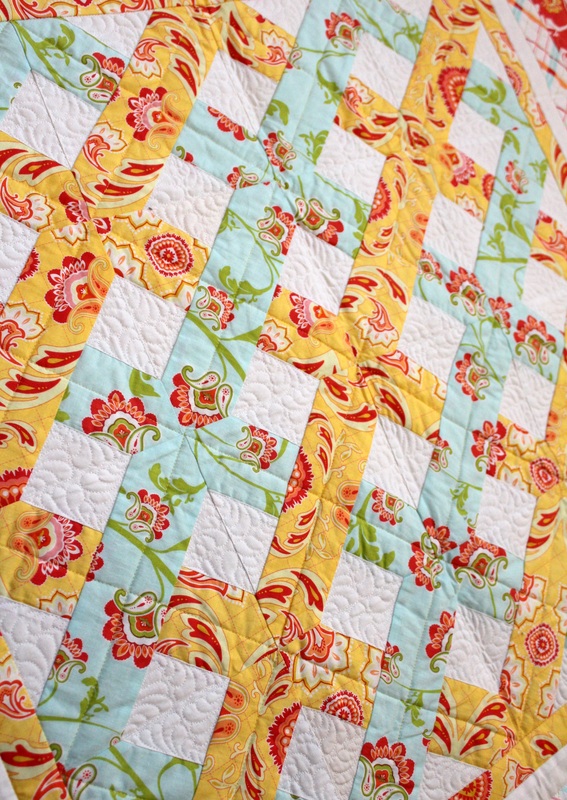 The quilting was done using Aurifil‘s Mako 50 Cotton threads over Hobbs Tuscany Silk batting. The white square area you see is about 2″ x 2″ in size – the image is out of focus a little as I am still getting used my camera settings. 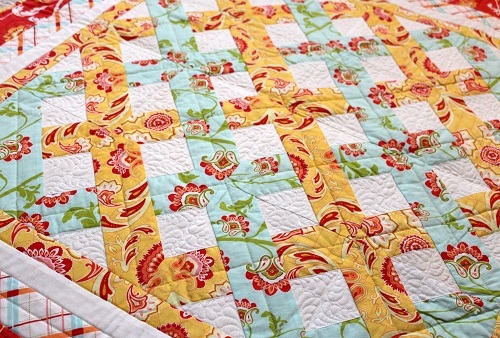 I think the design itself is quite versatile, and I can see the quilt different color schemes. 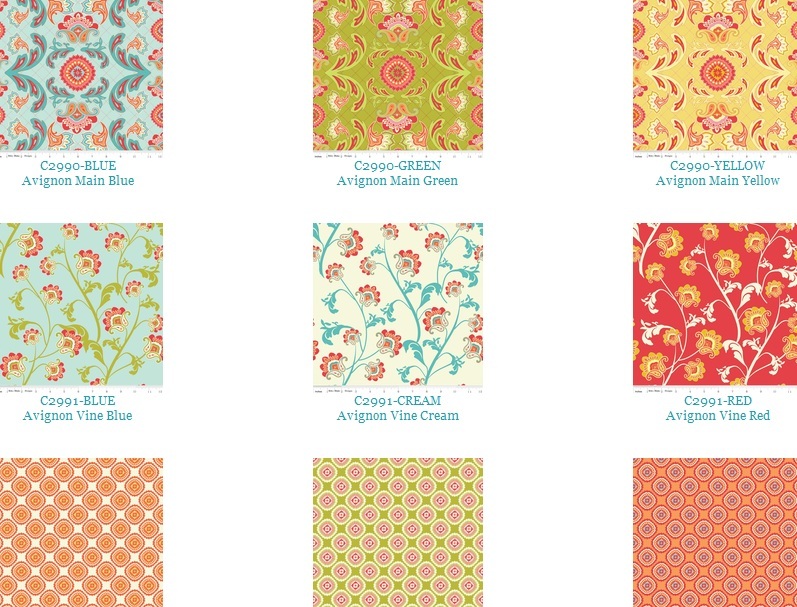 What would be your color palette of choice for this quilt? Thanks for stopping by. Hope to be back to chat with you again tomorrow. 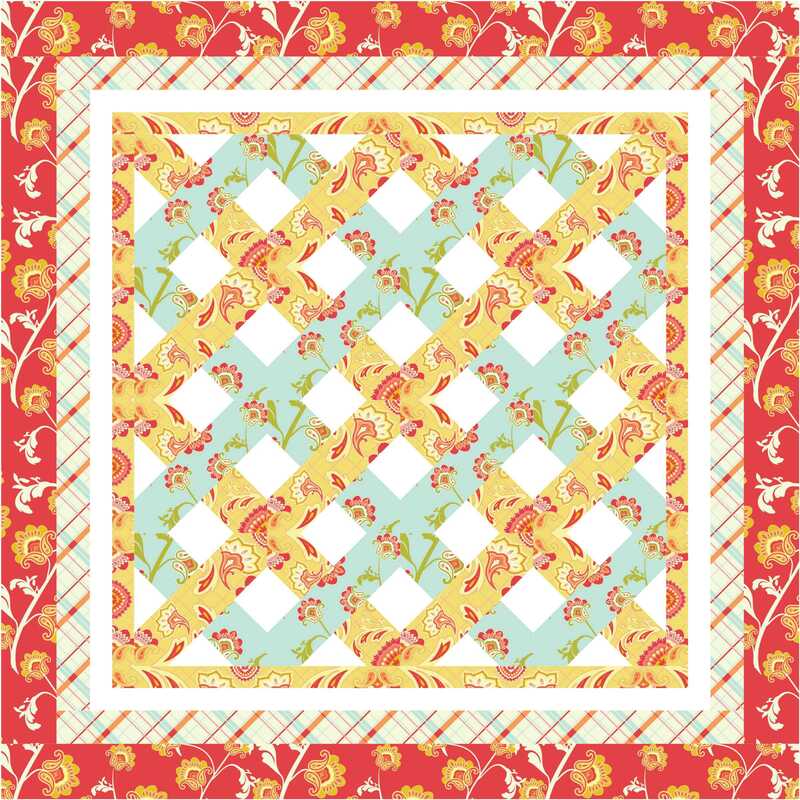 This entry was posted in Quilt Pattern, Quilting, Quilts & Projects: Published, Quilts: Pieced and tagged Quick & Easy Quilts, Quilter's World Special Interest Publication Spring 2013, Riley Blake Avignon Fabric Collection, Wendy Sheppard Designs. Bookmark the permalink. 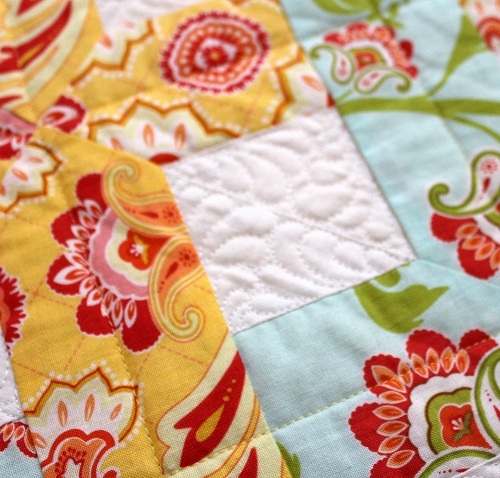 Beautiful quilts, you do amazing work! It’s always hard for me to imagine making something different after seeing how beautiful your interpretation is, but I can see doing this in some pretty 1930’s reproductions. Gorgeous, as alway! What stunning quilts!!! You did fantastic work on them, too. I’m not sure what color or fabric I would use. After seeing yours; I find it hard to picture it in something different…lol. But I do love a deep blue with white and maybe a soft yellow….ohhh it’s just beautiful in any color. How very nice this one is, Wendy! Wow, you have been busy Wendy. What a lineup! 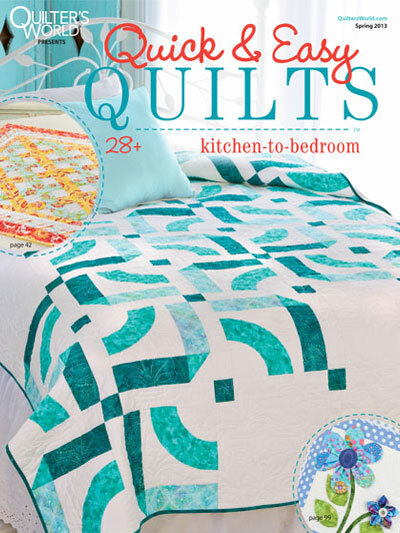 They are all beautiful, but that In and Out will certainly sell many copies of the Spring issue of Quilter’s World! Yumm. I especially *love* your “In and Out” quilt. The Riley Blake fabric is incredible. And I thought I was busy. I don’t know how you accomplish sew much. Love “In and Out.” Think that I would like yummy florals in pinks and greens. Wendy — wow!! 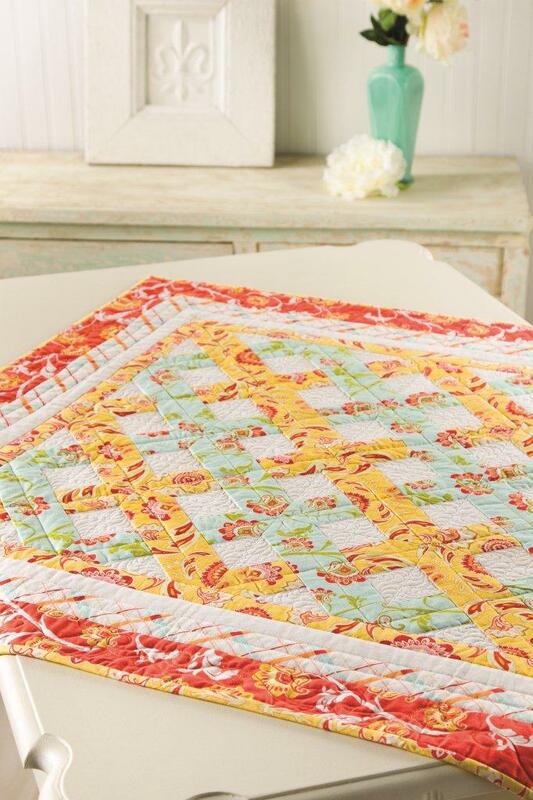 In and Out is very pretty — the colors are perfect and I love the lattice effect — not to mention the quilting!! 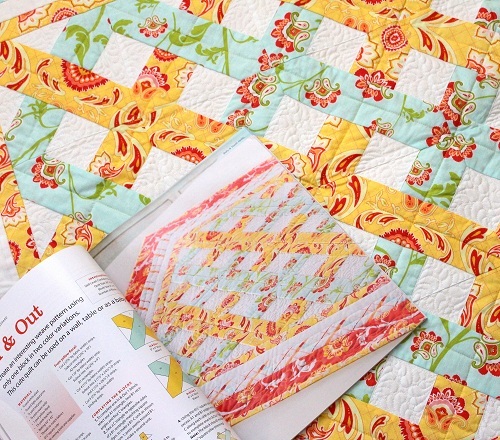 Congratulations on all of your published patterns and quilts ! Thanks for continuing to inspire! That is a nice design — something like a trellis or lattice design.